JDC - Archives : Children sitting around tables, reading, sewing playing games in the Lar da Crianca Israelita Ria children's home. Title Children sitting around tables, reading, sewing playing games in the Lar da Crianca Israelita Ria children's home. 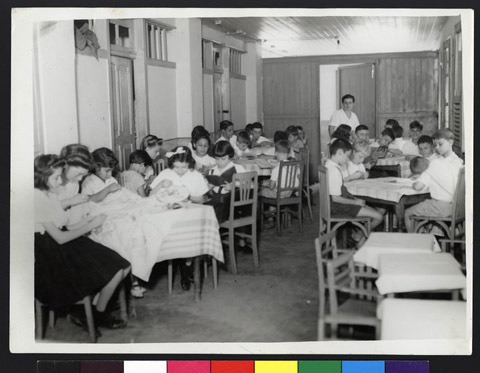 Description Children sitting around tables, reading, sewing playing games in the Lar da Crianca Israelita Ria children's home, which opened in 1939. By 1941, the home sheltered 73 children. It was funded by JDC and local organizations.